The hubs is an avid gardener and routinely gives garden treats to our neighbors… After a recent butternut squash giveaway, he came back home with some ground buffalo. 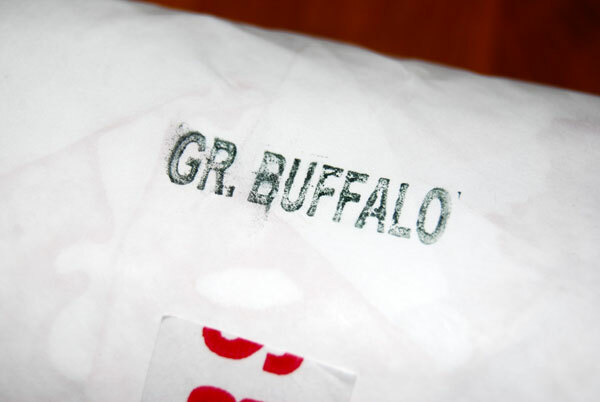 I wasn’t sure what buffalo tastes like, and was considering a lasagna (I was concerned that it might be “gamey”). After consulting with my 13 year old Sous Chef, we opted for burgers instead. We decided to go “gourmet” on these burgers, and had to make do with ingredients on hand. We topped each burger (right after flipping) with a thick piece of pepperjack cheese, and a small dollop of home-made pesto( https://locarbjabberwockey.wordpress.com/2013/09/08/easy-homemade-pesto/ ). We also sauteed half an onion and some mushrooms, for an additional yummy topper. 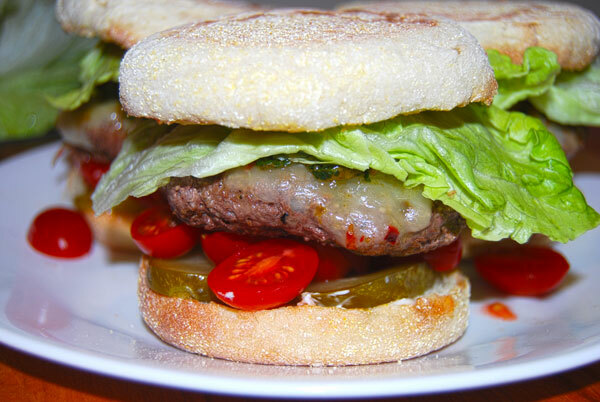 The fam’s burgers were served on English muffins, with mayo, homemade pickles, grape tomatoes, and lettuce. 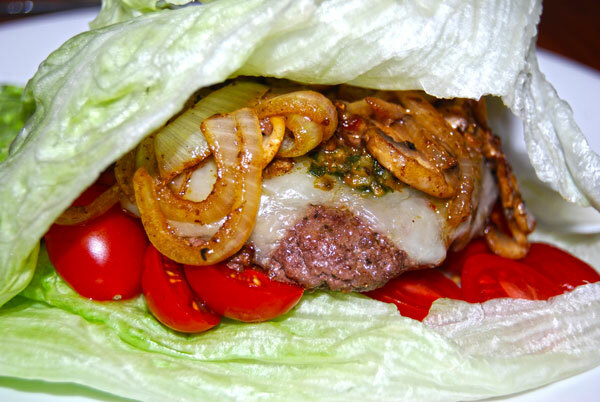 For me the low carb version was served on a bed of lettuce to replace the bun. Two thumbs up for buffalo meat !